The term "Uffici" (offices) refers to the original purpose of the building. Because in the middle of the 16th Century Cosimo I de 'Medici decided to erect a building, where all major offices of the Grand Duchy of Tuscany should be united. Giorgio Vasari was commissioned, the famous painter and art historian. To begin the enormous project, some houses had to be demolished, while others were simply integrated. In the year 1565, the complex was almost completed. The Gallery also received the 1500-meter long corridor, which connects the Uffizi on the Ponte Vecchio with the Palazzo Pitti (once the private residence of the Medici). Moreover, it was created a connection to the Palazzo Vecchio. The successor of Cosimo, Francesco I, was a passionate follower of the art, and so he decided to transform the porch on the first floor into an area for its collections of paintings, sculptures, weapons and scientific equipment. Bernardo Buontalenti was charged with the rebuilding. He built the Tribuna, one of the first museum halls of newer history. 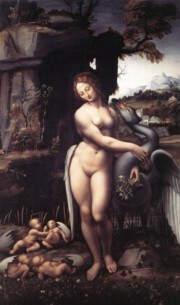 In the following years, the art collection in the Uffizi grew up continuously. The Medici used the Uffizi Gallery as the hall to browse among their treasures. 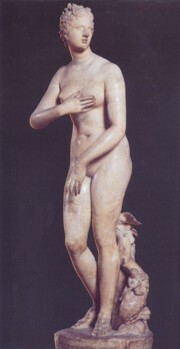 They ruled Florence for three centuries and had a passion for the collection, which was typical for rich people. Gifts from diplomatic relations and inheritances completed the impressive collection. Later, at the end of the dynasty of the Medici, the last heir bequeathed the Medici treasures to the people of Florence and thus the entire public. Today, visitors crowd in front of the many pieces of the collection. 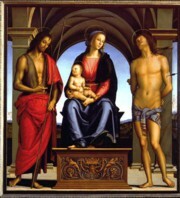 The works by artists from the Medieval showed only the viewpoint of holistically Christian, not considering the “Nature”. This changed later by the new humanism. 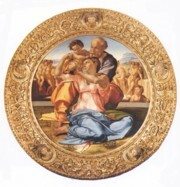 For this revolution, there are some witness, such as the unique crucifixion by Cimabue, in which you can still find forms and expressions of Byzantine art; some works by his student Giotto, whose works recognize more and more realism; the fantastic triptych by Hugo van der Goes and the known artworks Birth of Venus and Spring by Botticelli. The final outbreak of the Renaissance is visible in Bacchus by Caravaggio, Madonna and Child with St. Anne by Masaccio, Holy Family by Michelangelo and finally the two famous works Adoration of the Magi and Annunciation by Leonardo. But this is not all. There is so much to see that one visit is hardly enough. Who would like to visit the Uffizi Gallery in peace and to enjoy also the other treasures of Florence should come during the winter time. During the months from November to March Florence still belongs to the Florentines and the atmosphere is more typical and relaxed.